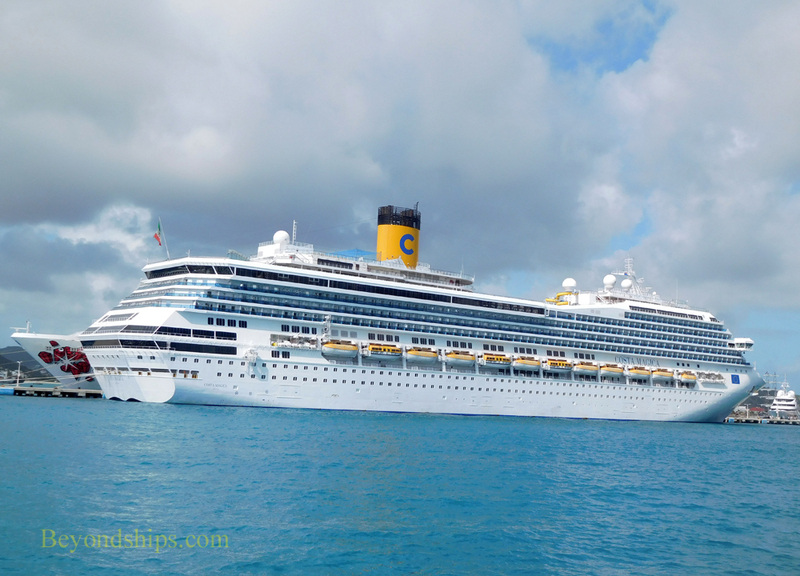 Costa Magica is a large, modern cruise ship. 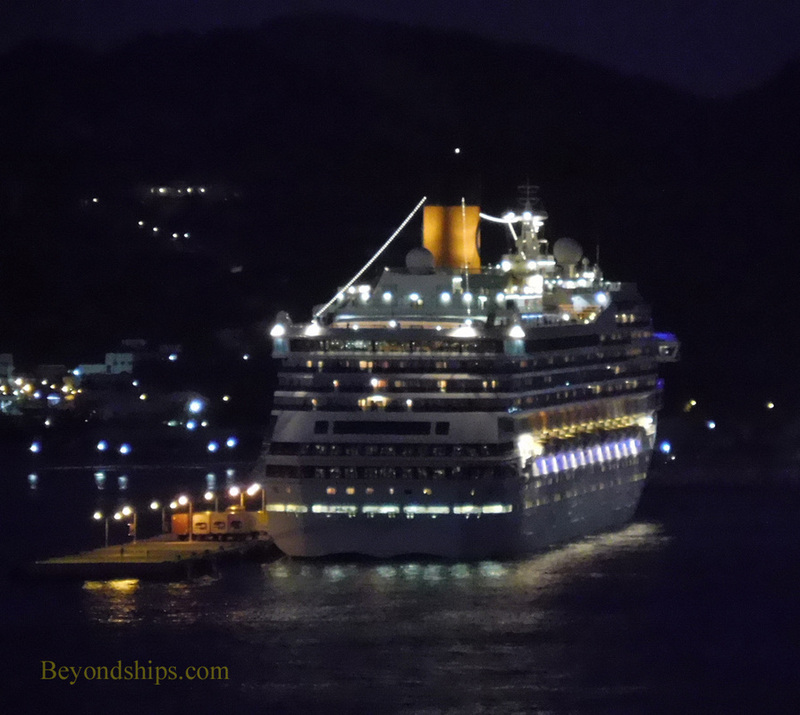 She is the sister ship to Costa Fortuna and is based on the original design of the Carnival Destiny. 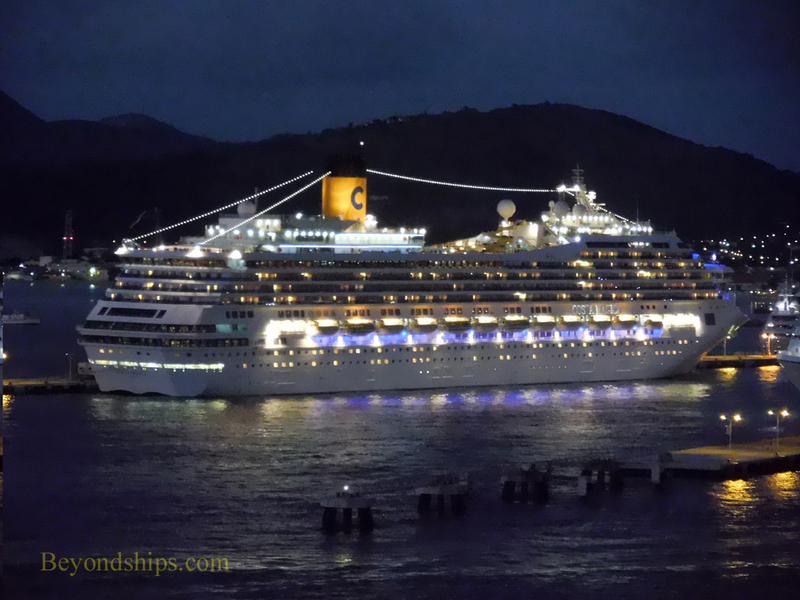 Her interior was designed by Joe Farcus, who also designed the interiors of most of the Carnival Cruise Lines ships including the original Carnival Destiny. His theme here was Italian holiday destinations and each of the public rooms and the restaurants is named after a popular destination. 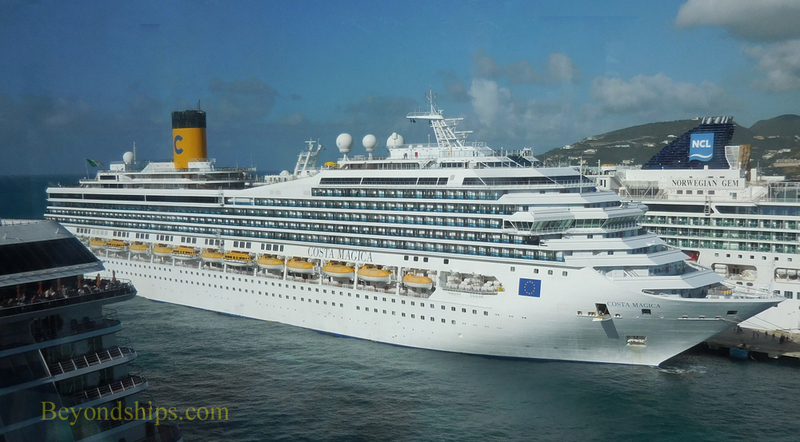 Costa Magica has two main dining rooms, one midships and one aft. For dinner, they operate on the traditional cruise ship system with each guest assigned to a table at one of the two seatings. There is also a buffet restaurant and an extra-tariff specialty restaurant, Club Vencenza. The ship has three swimming pools including one that is underneath a retractable glass canopy. There is also a large theater, bars and lounges as well as a spa. Most passengers are from Continental Europe, particularly Italy. Therefore, by necessity, the ship is multi-lingual.